Harter Investments: LOCAL. Sell My House Fast in Omaha. Cash Home Buyers in Omaha, Nebraska. Why do some homes sell right away? Why do some sit on the market for months at a time? 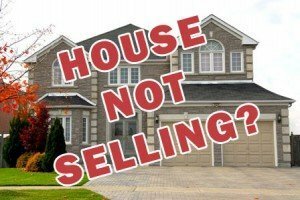 And why isn’t your house selling? Do you want to sell your house fast in Omaha? In our latest post, we will help you to consider some reasons why your house isn’t selling, and what you can do about it! Selling a home in Omaha, Lincoln or Council Bluffs takes work. It is only when a price, a property and a buyer all lineup that you are able to achieve a sale. To make this happen as the seller, you need to take a good look at your home and the price you are asking. So many people are quick to list a property in Omaha, without really considering the amount they will actually walk away with. You might take a guess at what it’s worth, and mark it up a bit for commissions and other listing costs. If only it were that easy. Many sellers don’t have a realistic value for their home. Before you list, run some comps for properties that have recently sold in your area. When looking at comps you need to take all of the emotion out of deciding on a price. You need to look at apples to apples. Square footage, number of bedrooms, number of bathrooms, garage, the location of the comps is also very important along with the age of the comps. If possible you need to look at 3 months or less. You might even consider having an appraisal done. If you need to lower the price of your house, it will be visible to potential buyers viewing your property on the MLS and other marketing sites. If you lower the price over and over, you will make people think there is something wrong with the house. Many times it is advantageous to set the price below other comparables. It will create excitement around the price and many times the price will be beyond the price you expected. It is advisable to rent a storage unit and store all of the clutter. And while you’re at it, give it a thorough cleaning. To be blunt, your typical cleaning habits may not be on par with some of the people viewing your home. Now is the time to channel your inner neat freak. First impressions are so important when selling your house in Omaha. You only get one chance with a buyer, remember your house is not the only house the potential buyer is looking at. You want the prospective buyers to imagine themselves in your house on Christmas morning sitting around the Christmas tree unwrapping Christmas presents. Or having Thanksgiving dinner together in your dining room. Thinking about listing in Omaha, Nebraska? Do you know what you’re up against? Take a good look at properties for sale in your area. Know what your neighbors are asking for their homes, and what comparable houses have recently sold for. Check out listing sites as well as your county appraiser. Don’t look at what people are asking, look at what houses are actually going for. Take inventory of the amenities and extras the other houses have in the neighborhood. Then add something to your house that others don’t have so your house can stand out from the others. You should also know the demographics of potential buyers. Are there a lot of families? Make your yard conducive to outdoor fun. Young professionals? Think of showcasing an area as an office or gym. People use the internet to buy homes. Over 50% of buyers have looked at their home on Zillow first. In our opinion, nothing can destroy a listing faster than bad photography. On the flip side, well done, professional photos can make your listing skyrocket. Don’t settle for an agent who takes a picture of your home from the car. And going back to the above, there should not be ANY clutter in your photos. Seriously. Nothing. Even if you put everything back after the picture is taken… putting some effort into great photos will make or break your listing. You should consider hiring a professional photographer and videographer. Some agents will do the bare minimum and cross their fingers for a sale. If you are going to have a real estate agent list your house you want to look for a real estate agent in Omaha that will use state of the art marketing technology to sell your house. They might have gotten their license in hopes of making a quick buck. Then there is Harter Investments. We are real estate professionals that genuinely want to help people! We believe everyone should love the real estate they own. It is very difficult to sell a property with liens or other title problems. Maybe your great aunt gave you the property, but it was never properly put in your name. (AKA, transfer without conveyance.) To sell a property in Omaha do whatever you can to clear this up before you list.